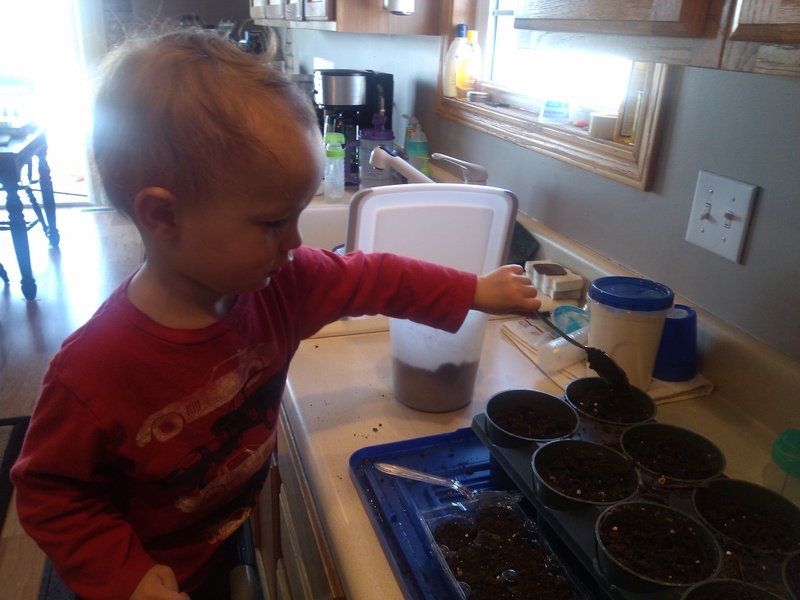 Today Joe and I started our broccoli seeds. I decided to do a little experiment. 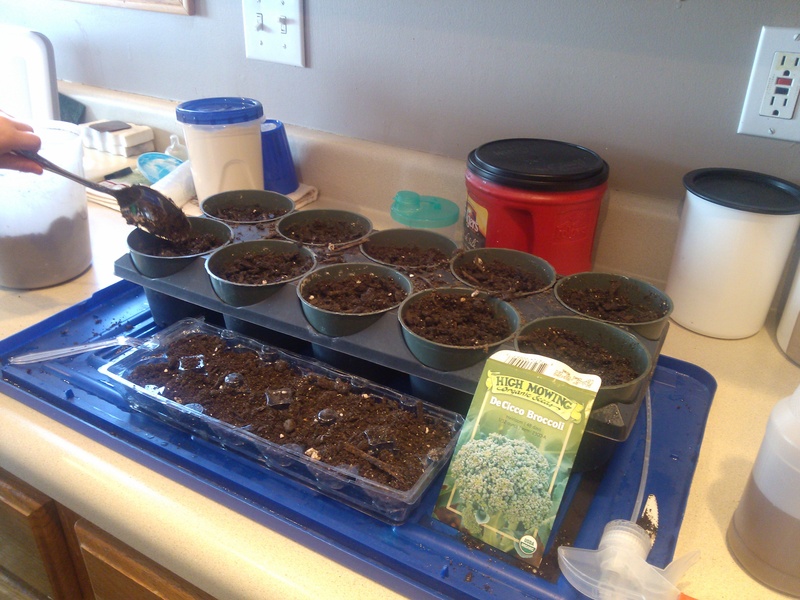 I started some of the seeds in larger pots to avoid “potting up” the seedlings later. I also started some in the egg carton that I used for the cabbage. We have the window out in the spot we will be putting our cold frame. As soon as it warms up and the snow melts, we are going to start hardening off and then putting the cabbage, and eventually the broccoli in the cold frame. With all of the nonsense going on with Monsanto, I am now more determined than ever to eat as much from our backyard as possible. We have found a local beef source who guarantees the cows are not fed GMO grains, now we just need to find pork and chicken. What we don’t harvest from the garden, we will try to get at farmer’s markets in the area.